Jan 8th/89 Thursday Mercury 33Z° P.M. & snowing hard all day with quite a breeze. 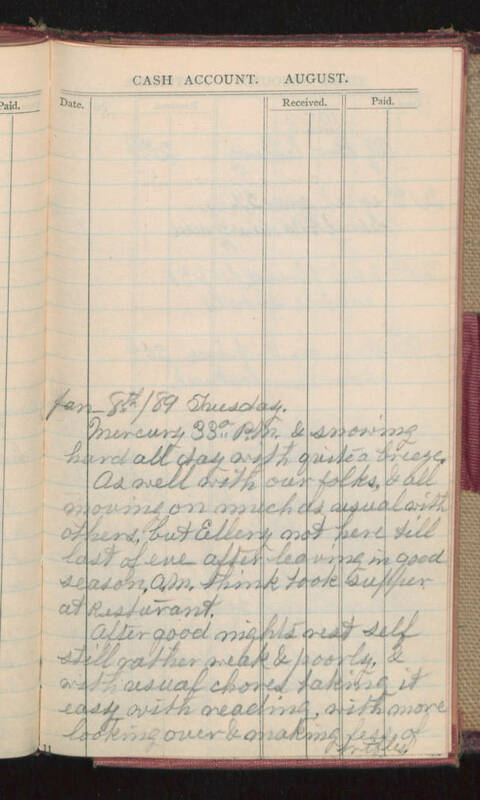 As well with our folks, & all moving on much as usual with others, but Ellery not here till last of eve after leaving in good season A.M. think took supper at restaurant. After good nights rest self still rather weak & poorly, & with usual chores taking it easy with reading with more looking over & making less of notes.